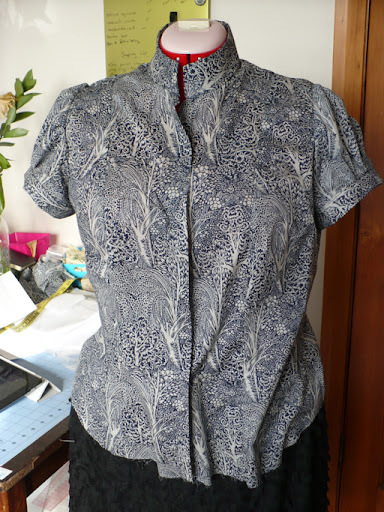 So I was merrily sewing away and was thinking my new blouse was looking pretty sweet. It's the JJ blouse. I was serving the sleeve seam, and was almost all the way round, when I caught a fold of fabric. 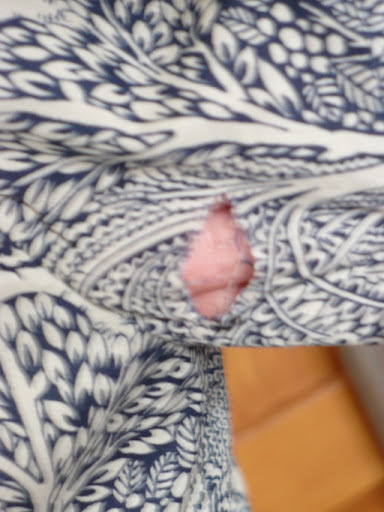 Yip and there it is, I've knifed a hole in my sleeve. Gutted. Many swear words were said and I've decided to stop sewing and watch DVDs instead.